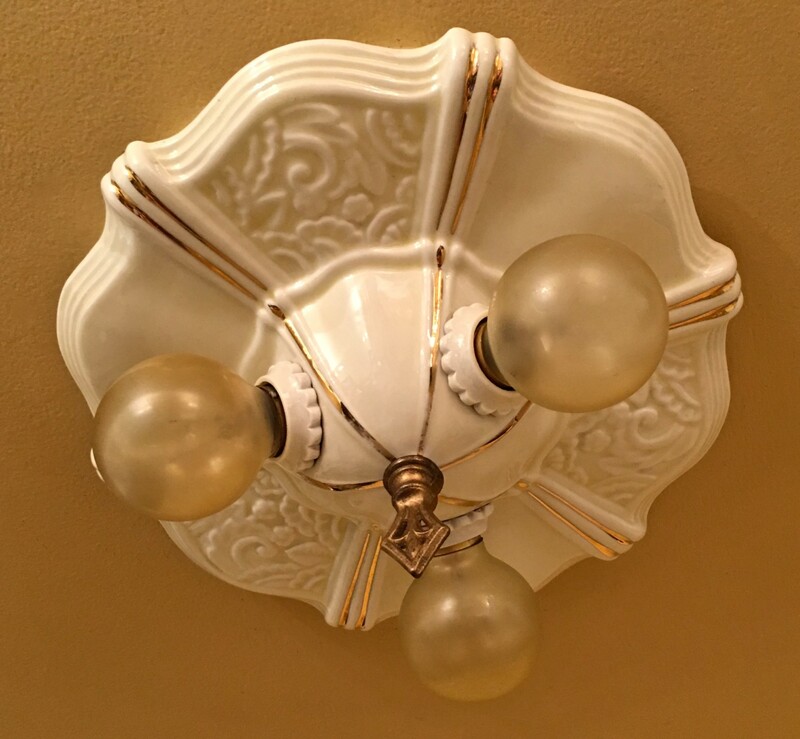 Yesterday I posted a dazzling 2-bulb porcelain fixture by Porcelier. 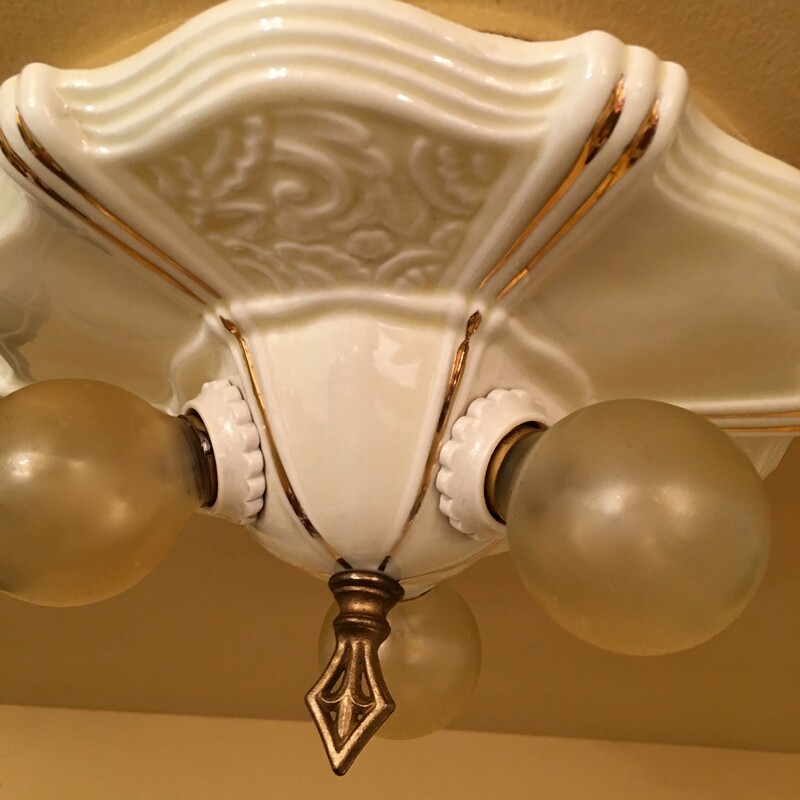 Today I present this dazzling Deco 3-bulb by Porcelier! Wow. Yep, they don’t make stuff like this anymore!